On the evening of January 12th at approx. 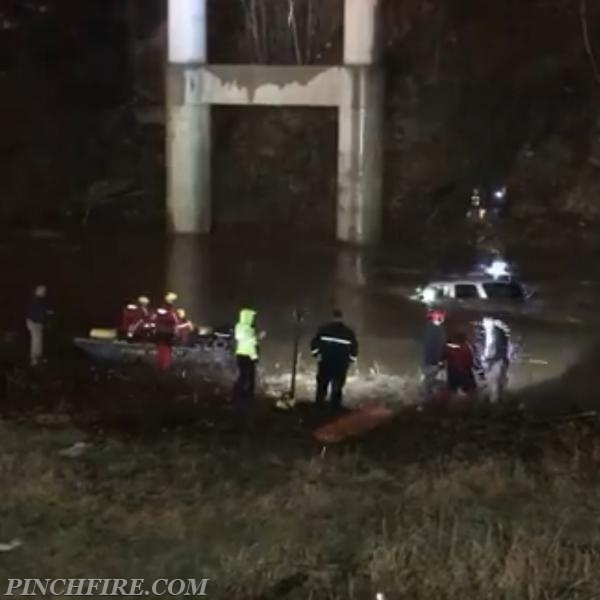 2215 hrs Pinch FD was alerted to a vehicle that was swept off of a low water bridge into the Little Sandy Creek. Pinch VFD requested mutual aid from Frame & Clendenin VFD’s. Upon arrival E23 reported an SUV with 1 adult occupant trapped inside the vehicle. The driver was trapped but not injured in the cab of the SUV. the vechicle was quickly filling with water. 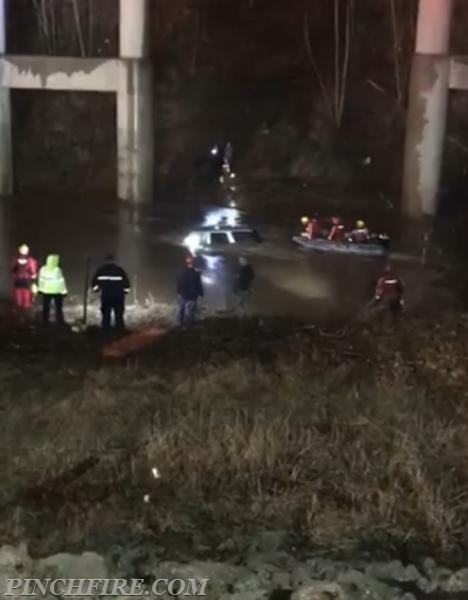 Metro 911 was in contact with the driver and numerous updates were announced during the rescue. As Swiftwater techs arrived & quickly made a plan on how the rescue would be carried out. Boat 34 with a crew of 3, was launched and made its way across the strong current to the vehicle. Other teams sat up a rope system and provided downstream safety for the rescue team. The rear window was broken and the driver of the SUV was assisted into the boat. Once on dry land the driver was taken to a waiting ambulance and transported to a CAMC hospital where he was later discarged.